Advance Packaging & Adhesives LLC is best manufacturer and supplier of Bopp Tape all over UAE including Abu Dhabi–AUH, Ajman – AJM, Sharjah – SHJ, Dubai – DXB, Fujairah – FUJ, Ras Al Khaimah – RAK, Umm Al Quwain – UAQ. Bopp Tape from Airmaster Tape who is Packaging Tape Manufacturers UAE is a superior quality Carton Sealing Tape, with specially developed self adhesive coating, available with plain, coloured and printed. The tape exhibits maximum peel strength on the applied surfaces and can hold heavy cartons. The product is useful for custom made Carton Sealing, Packing, Labeling, and bundling the product. 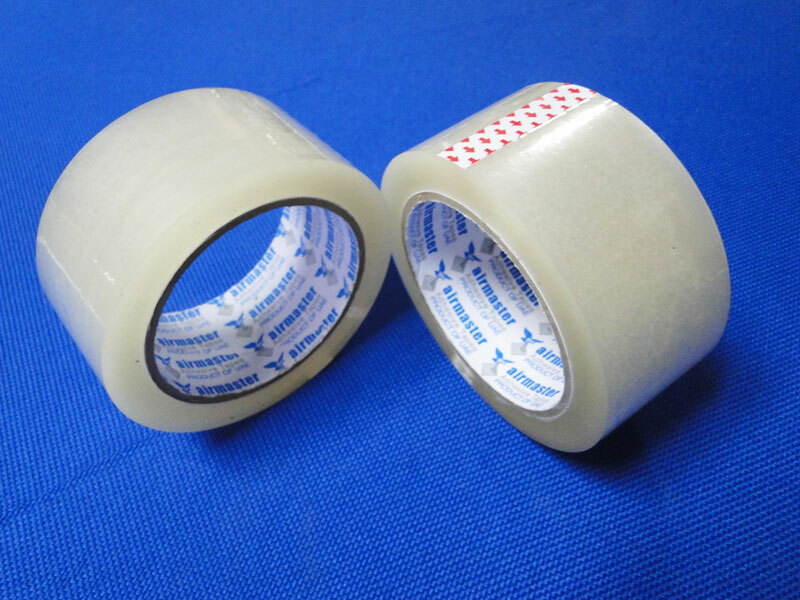 Bopp tape is Suitable to use with automatic packing machines and manual dispensers.